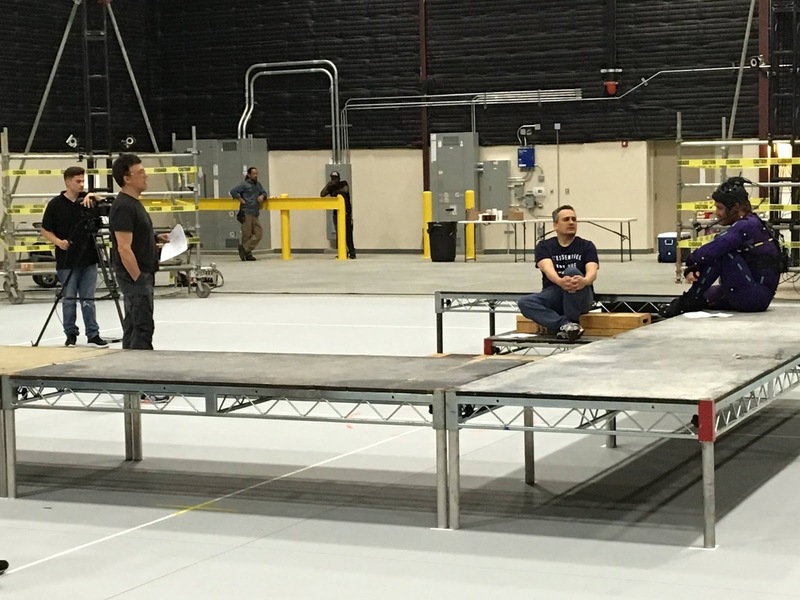 Filming doesn’t officially begin till November, but Avengers: Infinity War has already started settling into Marvel’s new home at Pinewood's Atlanta studio (the fifth MCU movie to film there since Ant-Man), and The Russo Brothers have shared with us, via Facebook, the first behind scenes image featuring Josh Brolin decked out in the mo-cap outfit used to bring the intergalactic despot Thanos to life. And of course, it’s purple. While Infinity War will no longer be split across two movies, both it and whatever the third Avengers sequel will be called are still filming back to back, a massive and unprecedented undertaking on behalf of Marvel Studios that Chris Evans was quoted saying could take “nine months” to complete. On top of that, both features will be shot entirely in IMAX, another first for the studio and any other movie for that matter, and will feature the MCU’s premiere team joining forces with the Guardians of the Galaxy and possibly the first appearance of Brie Larson’s Captain Marvel, ahead of her solo movie in 2019.